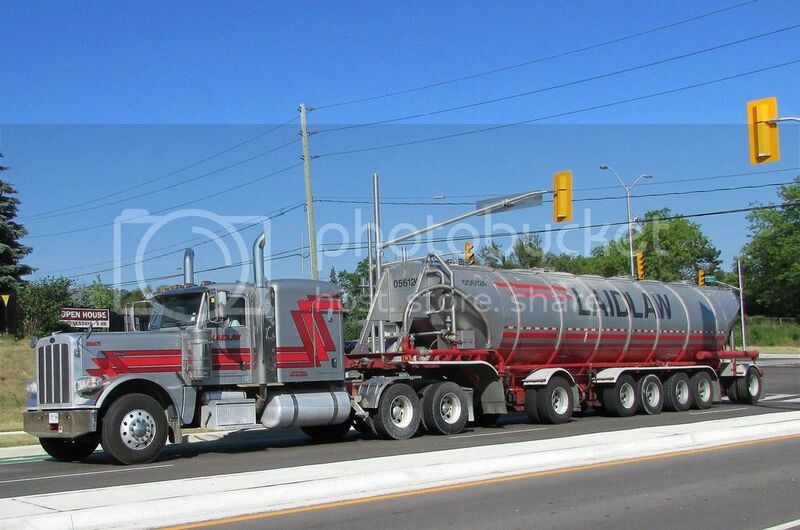 Laidlaw cement hauler working on a Saturday. 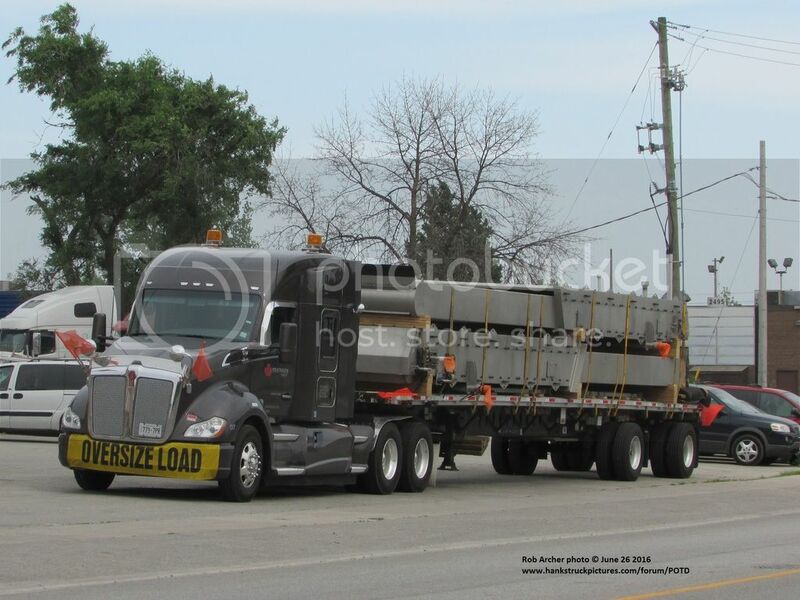 A very new looking Kenworth sits outside the Pentagon Logistics terminal in Mississauga loaded with an oversized load. I caught this Walmart Volvo today at my local spot. First time i see one around. 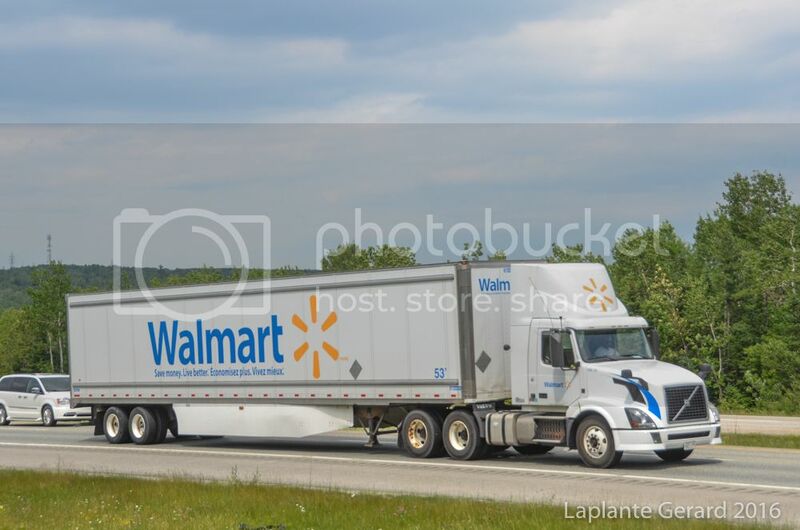 Usually around here, the Walmart trucks are Mack. Went out before supper and shot a few pics. I will upload something unless someone else has something good to add. 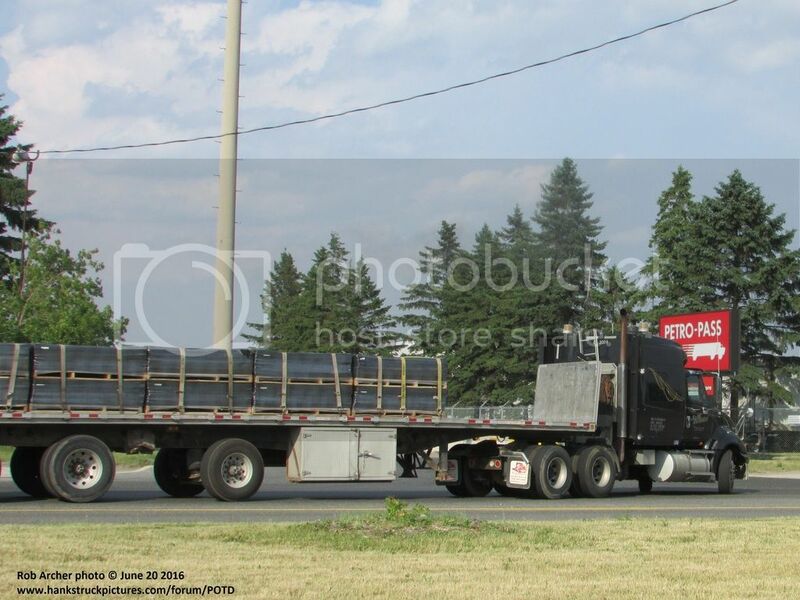 6-28-16 Homer Mann Trucking (Sylmar CA) on I 605 north--Pete hauling a second truck on a low bed. 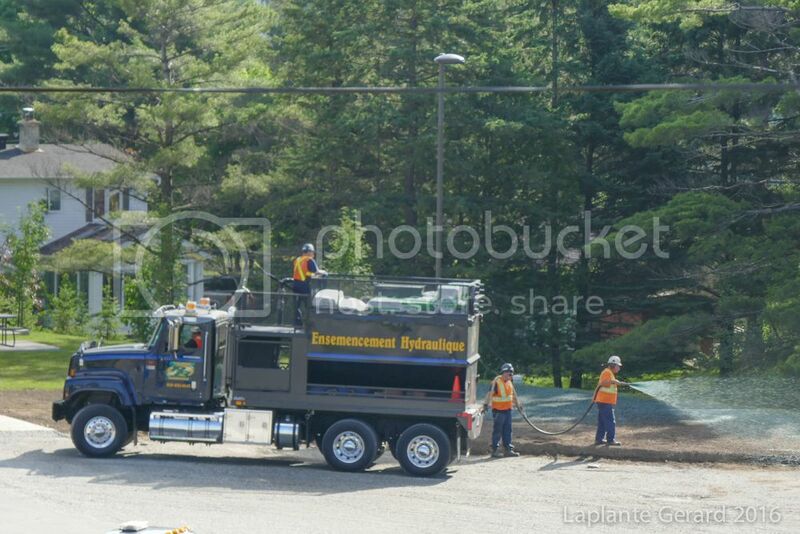 Down from my apartment this morning, those guys were doing some hydraulic seeding. Truck was a Paystar.